Turn memorable photos into unique prints on wood! Prints on wood give a natural and unique look to your photos! 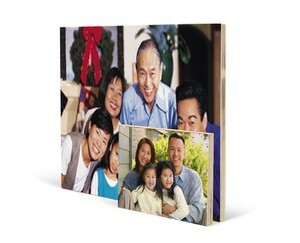 The natural grains of the wood combined with your photos create a lasting impression. Wood prints are printed on 3/4 wood. They arrive ready to hang on your walls or be displayed on your desk. Prints on wood make the perfect gift for your loved ones. Wood prints are made on 3/4 in marine plywood. They arrive ready to hang on your walls or be displayed on your desk. The natural grains of the wood combined with your photos create a lasting impression!